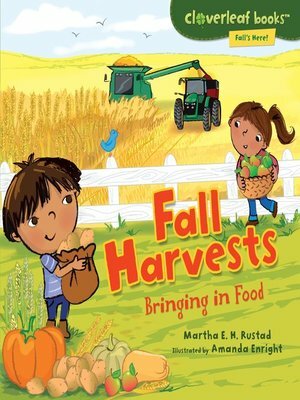 Bringing in Food · Fall's Here! Fall is a time to celebrate food. Farmers and gardeners work hard to grow crops all spring and summer. In fall, we harvest pumpkins, pecans, corn, potatoes, and more. Mmm! What happens in fall? Find out in the Fall's Here! series, part of the Cloverleaf Books™ collection. These nonfiction picture books feature kid-friendly text and illustrations to make learning fun!